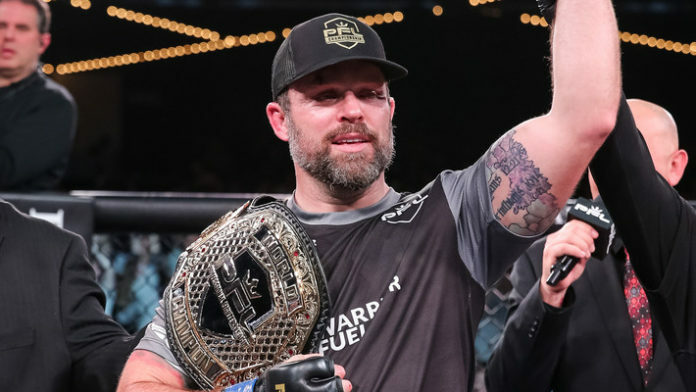 Sean O’Connell took a chance with the Professional Fighters League (PFL) in their first season last year that really paid off. He got to sit at the desk, call many of the fights, and compete in the light heavyweight division at the same time. Not only did he win the championship and prize money for his division but also he got to transition into his analyst position with the PFL, and now they are on ESPN. Like everyone else over at the PFL, O’Connell was excited about the news because he now gets to continue his role calling the fights for the 2019 season with ESPN, but he did somewhat tease a comeback because he said he is jealous that fighters will be able to compete on the huge sports platform. While O’Connell was only kidding about coming back, he said he was excited to be back cage side calling fights for an ESPN network. The 2019 season begins on May 9 and the selection process has already begun which includes inviting back the champions and finalists from the 2018 season, as well the new women’s lightweight division. Season two will likely bring many new competitors given the growth they have had in the first season and the new platform on ESPN. Not to mention the new investors they acquired halfway through season one. The light heavyweight division is listed with five other divisions and with O’Connell retiring as champion that means the whole division will be fresh for the taking. Do you think O’Connell can stay retired?